Apple’s new iPhone 8 and iPhone 8 Plus have seen weak initial sales in the Korean market since the US tech giant opened preorders on Friday. The new flagship smartphone’s difficult start here is apparently driven by shoppers waiting for the symbolic iPhone X model, the lack of innovation and ongoing problems of battery swelling in several nations. According to local mobile carriers on Monday, the initial sales of the iPhone 8 series are around 60 to 70 percent compared to the iPhone 7. Korean telecom operator KT sold 50,000 units of the iPhone 8 in the first 30 minutes since the launch on Friday, half as quickly as opening sales of the iPhone 7. Other mobile carriers, SKT and LG Uplus, also reported weaker initial sales of iPhone 8 devices compared to iPhone 7s. “We certainly saw lackluster sales of the iPhone 8 series over the weekend. We don’t think the number of loyal iPhone fans has reduced. 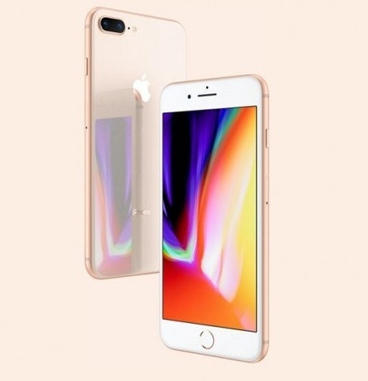 They seem to be waiting for the iPhone X series that is symbolic for Apple,” said an official from one of the three telecom carriers. Apple’s 10th anniversary iPhone X, which is expected to come with dramatic hardware changes, is expected to be released in Korea late next month. It began pre-orders in the US on Friday with the starting price of $999, much higher than the price of iPhone 8 series that starts from 946,000 won ($841). The iPhone X will reportedly adopt a new face recognition scanner and organic light-emitting diode screen, the first time for an iPhone. “Local consumers seem to think there is not much difference between the iPhone 7 and iPhone 8,” said a sales person at SKT’s authorized retail store located in the main business district of Gwanghwamun. Both the iPhone 7 and iPhone 8 series adopt 4.7-inch and 5.5-inch retina display panels. On the surface, they look the same except for the removal of the home button and the adoption of a full screen by minimizing bezels. Apart from the lack of innovation and upcoming iPhone X demand, industry watchers said iPhone 8’s battery swelling issues may have contributed to weak sales of the new phone. The battery swelling issues have caused concerns over weaker sales even before the phone was launched here. There have been around 10 reports on iPhone 8’s battery swelling issues in the US, China, Taiwan, Canada, Japan and Greece. Apple has not yet unveiled any measures to respond to the issue.